Everyone associated with the wedding would like to present their best with a sense of grace and style. While you speculate over how this could be done, let us extend our helping hand. We have access to the most sought after stylists and beauticians. Apart from this, we have an extensive database of trusted wedding specialists who have worked in the field for many years and can easily meet your needs. 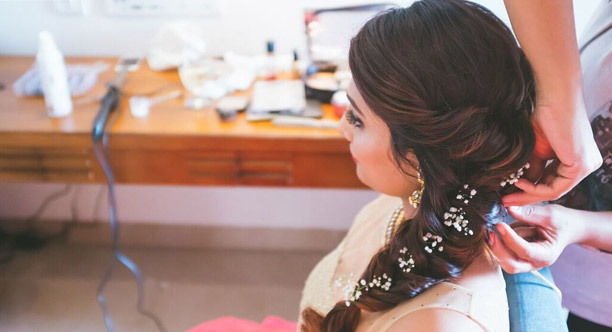 By presenting to you a number of options as well as the details, we help you not only narrow down your choices but also remain in touch with these stylists who will not only enhance your beauty but will ensure that your near ones are also a part of the process in reflecting the festivities. We can assist in every single step – from booking an appointment to choosing the right dress – and are only a phone call away should the need arise.